ISLEMORADA, Fla. (Dec. 5, 2006) – The third stop on Mercury Redbone’s Trilogy – the Mercury Cheeca Redbone tournament – was truly a charm for Troy Pruitt. Pruitt was named 2006 Trilogy Series Grand Champion after the event, the last stop in a series of three events held in Florida each year. The Mercury Cheeca Redbone tournament, held Dec. 1-3, is part of the larger group of Redbone tournaments that include approximately 30 fishing events each year. Proceeds from the event – and from all Redbone events – benefit the Cystic Fibrosis Foundation. The first two events of the Trilogy were the Mercury S.L.A.M. and the Mercury Baybone. Redbone and bonefish were once again the anglers’ targets this year. John Timura earned Grand Champion Angler honors at the tournament, catching four redfish on spin/plug and two bonefish on bait. The Celebrity Grand Champion was former Denver Broncos football player Mark Cooper, and the Runner-Up Grand Champion and Grand Champion Lady Angler was Bonnie Christ. Timura was also thrilled to be involved in such a worthy cause. Pro Grand Champion Angler was Roland Martin, and Team Grand Champion Angler honors went to the squad of Joe Viar and Bonnie Christ. Thanks to the financial support of events such as this fishing classic, the CF Foundation has made tremendous progress in the field of cystic fibrosis (CF) research and care. The median age of survival for a person with CF has improved from early childhood in the 1950s to 36.8 years today. However, cystic fibrosis continues to be a critical health matter, as most individuals with the disease must battle chronic lung infections for their entire lives. At least one person dies from CF each day. The Redbone events have grown from the seed planted in 1988, when a handful of anglers, fishing guides and sports celebrities organized a tournament in the Florida Keys village of Islamorada. The group focused on just two of the available species: redfish and bonefish. The ground rules were simple – to win, the angler must catch and release at least one of each. In the past 19 years, Redbone tournaments have contributed approximately $10 million to the Cystic Fibrosis Foundation. The inaugural Islamorada event was a great success, and the “redbone” moniker was born. The current format of the individual tournaments can include freshwater, offshore and flats fishing. The environments in which the Redbone events take place have played a major role in their success. The Florida Keys, for instance, contain miles of clear flats with acres of turtle grass and marl, features that create a welcoming habitat and a diverse fishery that includes bonefish, tarpon, permit, redfish and snook. Tournaments are also held in such diverse locations as Massachusetts, Colorado, New York, Costa Rica, Pennsylvania, Ohio, the Bahamas, South Carolina, North Carolina, Florida, Alabama, Georgia and even in the countries of Mexico and Wales. Mercury Marine, the official outboard engine of the Redbone events, began its support of the Series in 1992, and the collection of events has drawn the attention and support of big-name celebrities such as the late baseball great Ted Williams, baseball stars Mike Schmidt and Wade Boggs, football legends Jim Kelly and Ken Stabler, NBA great John Havlicek and the late broadcasting icon Curt Gowdy. 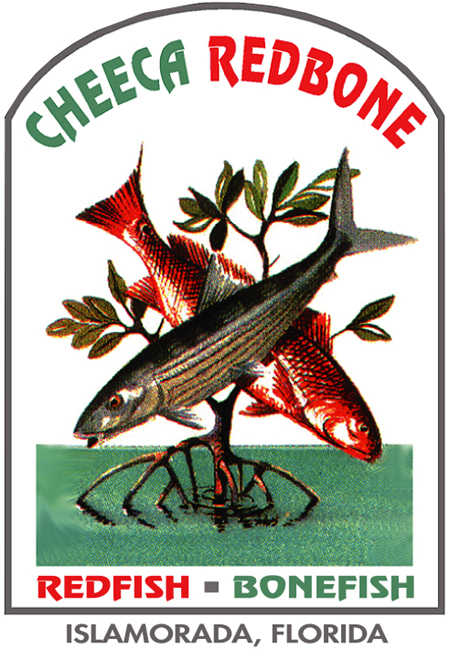 For more information on the Mercury Redbone Trilogy, or the Mercury Cheeca Redbone, visit on-line at www.redbone.org or call 305-664-2002 or 1-877-5-FISH-CF. Series Champ Troy Pruitt with his Platinum Faced Rolex and Gus Corp from Mercury Marine and tournament founder Gary Ellis. Celebrity Champion Mark Cooper with a nice Redfish. Runner-Up Grand Champion Angler and Grand Champion Lady Angler Bonnie Christ with a massive Redfish! CELEBRITY GRAND CHAMPION ANGLER: MARK COOPER, DENVER, CO.
GRAND CHAMPION LADY ANGLER: BONNIE CHRIST, ALEXANDRIA, VA.
TROPHY: JORGE MARTINEZ “REDBONE” REMARQUED. FIRST RUNNER-UP TEAM GRAND CHAMPION ANGLERS: GEORGE PROENZA/JOHN TIMURA.